(Madagascar), Italia Arte, Aquas, MIIT, and the patronage of Provincia di Milano. Opening: Thursday 13th December 2012, from 18.30, Opening hours: 15.00 - 18.00. Fondazione AEM, Piazza Po 3 - Milan. 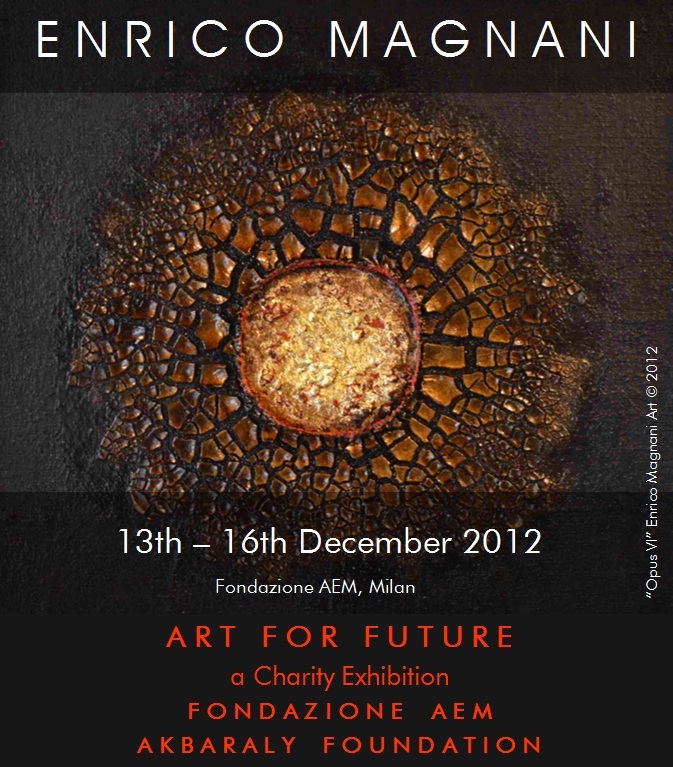 The artwork "Opus VI" is kindly devoted by Enrico Magnani for charity exhibition purposes.